By 1500, Islam had been introduced to the Hausa by traders. Many of the urban Hausa embraced it right away, in hopes of enhancing their businesses. However, the villagers were not as receptive to this new religion. In the "holy wars" of 1804 and 1808, the Hausa were conquered by the Fulani, their strongly Islamic neighbors. They were made slaves until the early 1900s. At that time, many of the villagers were either forced or bribed into becoming Muslim. They adopted some of Islam's basic outward behaviors and rituals, but did not "sell out" as many of the urban Hausa did. For that reason, many of the rural Hausa today are only superficially Muslim. The Hausa are the largest ethnic group in West Africa. Thirty percent of all Hausa can be found in the north and northwest regions of Nigeria, an area known as "Hausaland." 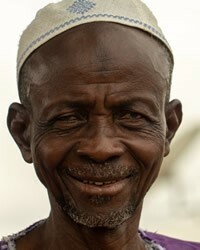 Hausa communities can also be found in other West African nations such as Chad, Ghana, the Ivory Coast, Togo, Benin, Gabon, and Equatorial Guinea. Hausa people are still active as international traders, and they are usually more prosperous than other peoples in Africa. Hausa buildings are characterized by the use of dry mud bricks in cubic structures, multi-storied buildings for the social elite, and traditional white stucco and plaster for house fronts. At times the facades may be decorated with various abstract relief designs, sometimes painted in vivid colors to convey information about the occupant. Hausa people have been Sunni Muslims for hundreds of years, though some came to Islam under duress. Some are committed to the geo-political, religious system we call Islam, which others are not serious about it. Adequate Christian resources are available in the Hausa language; but they are still an unreached Muslim people group. The Hausa people need to see their critical need for the savior, who loves them and desires a personal relationship with them. They need to see past their worldly success, and see that they will not be accepted by the creator of the universe except through His son, Jesus. * Pray that the Holy Spirit will allow circumstances into the lives of these people that will point to their sinfulness and their need for the savior. * Pray that they will see that their Islamic religion is not working. * Pray for a spiritual hunger among Hausa people in Equatorial Guinea that will lead them to seek and find answers from Jesus Christ. 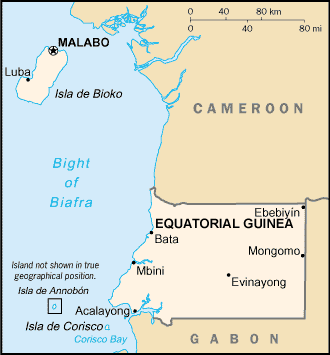 * Pray for a powerful Disciple-Making movement to emerge among Hausa people in Equatorial Guinea. https://en.wikipedia.org/wiki/Hausa_peopleView Hausa in all countries.